Starting a new job can be a big step into the unknown, but with contract to hire jobs, it doesn’t have to be. The problem with full-time jobs is that even the most rigorous interview process can leave you with a lot still to learn about your new place of employment. What if you don’t like the culture? What if you don’t like your colleagues? 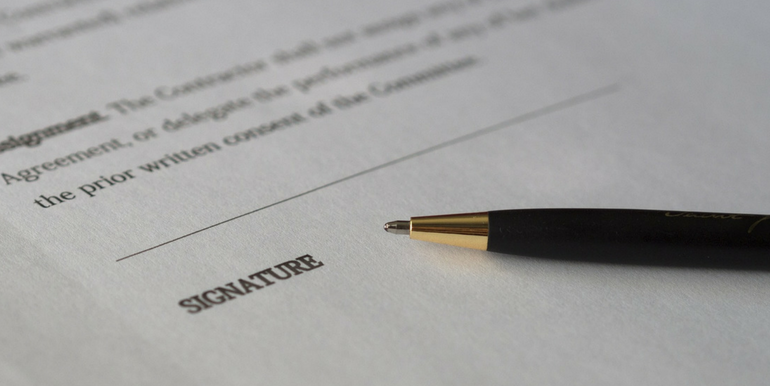 Contract to hire jobs are short-term contractual roles that let both parties, the employee and the employer, test the waters before committing to full-time employment. The flexibility they provide has enormous benefits for job seekers. However, these benefits come at a price. You’ll miss out on a lot of the security that full-time employees enjoy, for instance. For some, contract to hire jobs are the perfect place to start, but they aren’t for everyone. In this post, we weigh up the pros and cons of this type of employment so you can decide whether a contract to hire job is right for you. There are several things are candidates tell us they love about contract to hire jobs. There’s no guarantee that you’ll like the company culture or your colleagues. However, if you’re going to be spending the several years working at a company, it better be the right fit. With a contract to hire job, you get to evaluate the company culture before making a decision to work there. The position doesn’t just let you put companies on trial, either. You can also use these contracts to test different career paths and explore which job is right for you. Best of all, you’ll amass a vast amount of experience while finding the perfect fit. With a contract to hire position, you may be able to negotiate a significantly higher salary and benefits package than you might otherwise have got. That’s because you’re taking the risk away from the employer. When they hire for a full-time position, there’s no guarantee the candidate will be able to do the work well. Employers utilize contract to hire positions as a “working interview” which generally increases the quality of hires made. By considering the contract to hire role, you are in a great position to request a salary that reflects the long-term value you bring to the company. Even if you love the company, the work, and your colleagues, there’s no guarantee you’ll get a job at the end of your contract or that your employment will last the length of your contract. While this can potentially be a risk if you’re not the right fit, a contract to hire position can also be an opportunity to land a great job. If both you and the employer are happy with the work you were doing during your contract, you can potentially get a full time offer and become a member of their team. Even if you don’t land the full-time position, it’s still an opportunity to improve your skills and resume. During the life of the contract, the staffing agency serves as the employer of record and manages human resource functions such as payroll, administering payroll taxes, and providing benefits. Speak to your staffing agency representative to learn more details about the benefits that they provide. After being hired full time by the company, you will be eligible to participate in their employee benefits program. While a robust benefits package is important, it’s also important to consider that this contract to hire position only lasts for a finite period. If you prove that you have the skills and experience to join the team full time, you will then have access to the benefits that the company offers. While contract to hire jobs aren’t for everyone, they’re a great way for job seekers and companies to see if the other would be a good fit. A job seeker can work for a company during the contract to get a feel for the work they’d be doing, the company culture, and opportunities for growth while the employer can see if they have the skills and expertise to join their team full-time. Sparks Group offers contract-to-hire staffing and recruiting services that for candidates to leverage contract to hire employment opportunities. Thanks to their extensive network, they can pair you with a company in your industry that’s looking for an employee with your skills. They have various positions to choose from and can place you in a contract to hire position that’s the right fit for you. You might even land you a full-time position at the end of your contract. If you think contract to hire jobs are a good choice for you, speak to a Sparks Group consultant today or check out our jobs board to start applying.